If you are looking for a used Hyundai Tucson in Thunder Bay, Ontario, Fort Frances and surrounding area, the Performance Kia sales team will be able to satisfy your needs. Performance Kia often has a great selection of pre-owned Hyundai Tucson in stock and add to the vehicle inventory daily. At Performance Kia we proudly sell and service used Hyundai Tucson to customers from Thunder Bay, Ontario, Fort Frances, Dryden, Nipigon, Marathon, Manitouwadge, Terrace Bay, Longlac, Geraldton, Sioux Lookout and surrounding areas. What Is It? 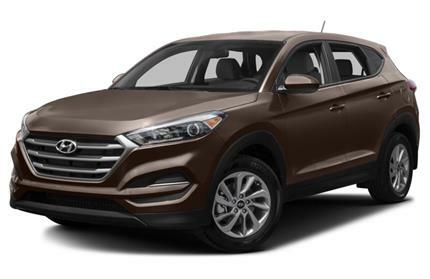 The 2016 Hyundai Tucson is a fully redesigned compact SUV that is bigger in most dimensions than the model it replaces, yet still slightly smaller than top-selling segment rivals. It is available in four trim levels (SE, Eco, Sport and Limited), each of which includes plenty of equipment for their respective price points. The base SE starts at $22,525 while the Limited starts at $30,975. There are two four-cylinder engines offered, but the powerful and efficient turbocharged engine that is standard on the upper three trims is your best bet. How Much Bigger Is It? The 2016 Tucson is 3 inches longer, 1.1-inch wider and has a 1.2-inch-longer wheelbase compared to its predecessor, which was one of the smallest vehicles in the compact SUV segment. The additional width and wheelbase is especially noteworthy, as it brings those dimensions on par with competitors like the Ford Escape, Honda CR-V and Toyota RAV4. The result is a more passenger-friendly cabin, especially for those in back. The 60/40-split rear seat is mounted high, providing ample thigh support, and there is plenty of legroom even with a 6-footer up front. An additional 11 degrees of seatback recline is welcome as well. Even with its larger overall dimensions, the Tucson still falls a bit short in terms of cargo capacity. Its 31 cubic feet of space with the rear seats raised and 61.9 cubic feet with them lowered is considerably more than before, but on paper, the cargo area remains among the smallest in the segment. Numbers can be a bit deceiving, however. Compared to the likes of the Ford Escape or Jeep Cherokee, the Tucson's cargo area is wider and easier to load, with the added bonus of a floor that can be lowered an additional 2 inches for some extra space. Source: Edmunds.com.